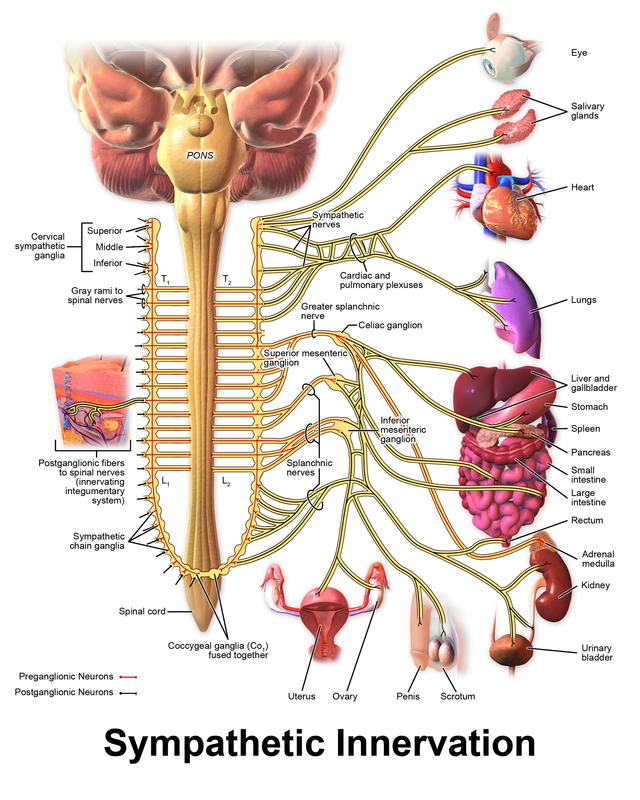 What has fibromyalgia to do with the nervous system? Most neurologists would perish the thought that fibromyalgia has anything to do with the nervous system. Any mention of it would induce sighs and tut tuts. There is however emerging evidence linking fibromyalgia to dysfunctional central pain processing. A prominent advocate of this is anaesthesiology professor Daniel Clauw. Another rheumatologist, Manuel Martinez-Lavin, adds another neurological perspective to fibromyalgia: the association with sympathetic hyperactivity. He makes the very plausible argument that sympathetic hyperactivity would explain the frequent association of fibromyalgia with symptoms such as anxiety, insomnia, and irritable bowel. Martinez-Laviz is also involved in pushing the possible link between fibromyalgia and small fiber neuropathy. This comes from studies of small nerve fibers in the cornea. A recent article in the journal Pain supports this. The title, Objective evidence that small-fiber polyneuropathy underlies some illnesses currently labeled as fibromyalgia, does appear to give credibility to the association. 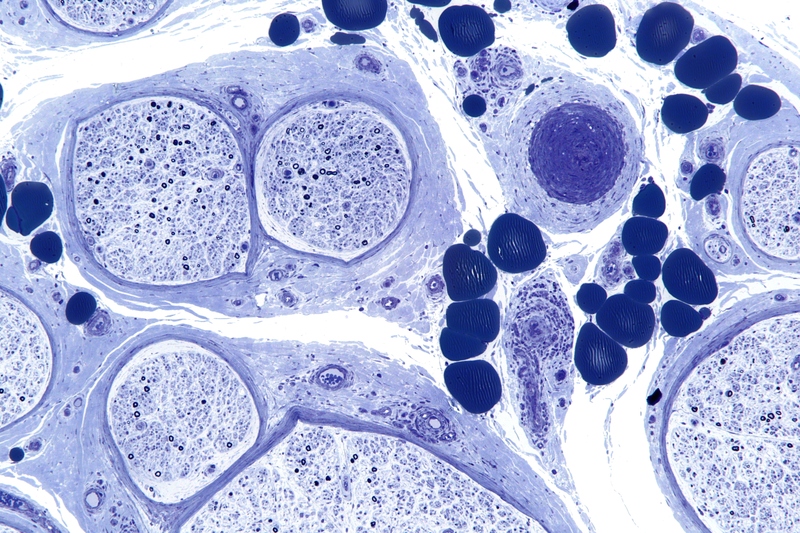 “Vasculitic neuropathy – plastics – intermed mag” by Nephron – Own work. Licensed under CC BY-SA 3.0 via Commons. 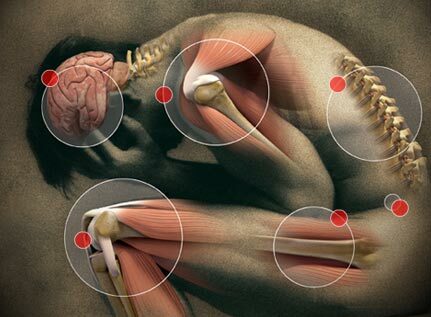 These findings are all pointing to a new paradigm of fibromyalgia. Perhaps neurologists shouldn’t dismiss fibromyalgia too quickly!